For those of you looking to score a sweet deal on a used vehicle from the beloved bow-tie brand, we’ve got good news. The first generation Traverse is available in variety of styles and options. 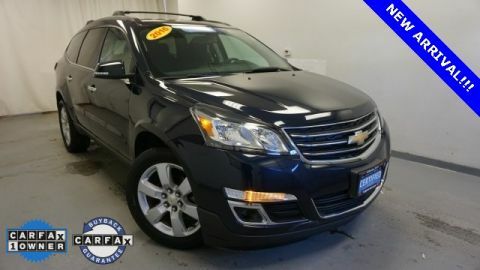 Buying a used Chevy Traverse from your Albany, NY dealership is a smart way to get quality, versatility, comfort, and safety at a bargain price. A three-row crossover, the Traverse provides plenty of room for family trips, complete with enough cargo space to make packing a piece of cake. We’ll start with an overview of the 2009 Chevy Traverse – the debut year of the first generation – followed by upgrades found in the 2013 model before wrapping up with a quick peek of current used Traverse options. 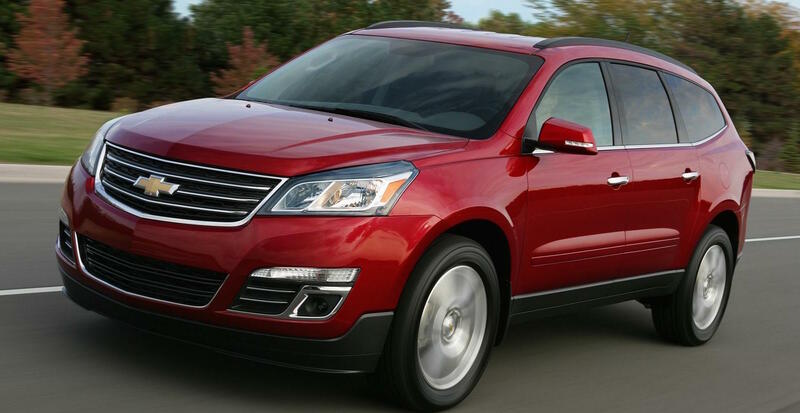 An ideal choice for families on the go, the Traverse earned outstanding safety ratings. Drive with confidence knowing that the Insurance Institute for Highway Safety considers the Traverse a Top Safety Pick with perfect scores of “Good” resulting from front, side, and rear-impact crash testing. How does the Traverse keep its occupants safe? For starters, the cabin is supported by standard equipment like front, side-impact, and side-curtain airbags across all three rows of seating. Other standard fare comes in the form of an electronic stability system, traction control, and four-wheel-disc antilock brakes. Additional safety measures are designed specifically with younger occupants in mind. For example, the second row features latch child-seat anchors, as well as top-tether anchors, and the their row is outfitted with a top-tether anchor. When it comes to reaching your destination safely, the Traverse has got you covered. 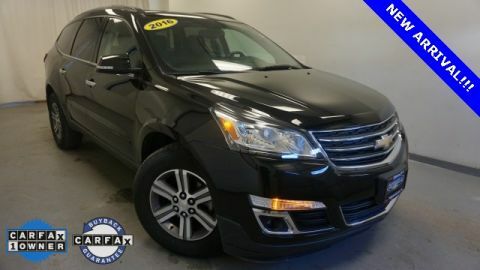 Although features like seating for eight is standard, along with the availability of front of all-wheel drive, regardless of trim level, the Traverse does offer some notable variations between its five models. Starting with the entry level LS, which offers basic features and comes with steel wheel and black mirrors, consumers can move up to the LT for details like body-colored moldings and alloy wheels, measured at 18 inches. The LTZ bumps up the wheels to 20 inches and is the fully loaded version of this crew, complete with backup camera, navigation, along with heated and ventilated seats – all standard. Optional equipment includes a panoramic sunroof and DVD player for the backseat passengers’ entertainment needs. Speaking of the backseat, if you prefer captain’s chairs to the standard second row of seating, you’ll want to target the higher trim levels, like the LT’s sub-trims – LT1, which comes with alloy wheels, steering wheel mounted audio controls, trip computer and power driver’s seat, or the LT2, featuring triple zone automatic climate control, power tailgate, and stereo system from Bose, and certainly the top of the line LTZ. All five trim levels share an impressive cargo capacity. With the third row in place, the Traverse offers 24.4 cubic feet of space, which jumps to a whopping 116.4 cubic feet once the seats fold flat. Focusing on the first generation, starting with the debut 2009 model year, the Traverse was rated at 17 city, 24 highway mpg from the four-wheel drive setup, with all-wheel drive returning 16 city and 23 highway mpg from the standard 3.6-liter V6 engine, rated at 281 horsepower, operated by six-speed automatic transmission. For added oomph, the LTZ is outfitted with a dual exhaust system, which delivers 288 horsepower. If towing is a performance priority for you, the Traverse boasts best-in-class towing capacity of 5,200 pounds, when outfitted with the right equipment. To put that in perspective, the competition at the time could only manage an average towing capacity between 3,500-5,000 pounds. 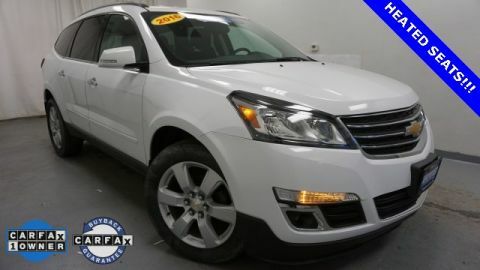 Thanks to its four-wheel independent suspension, drivers report a smooth and quiet ride from the Traverse, with an athletic stance on the road that gives it a somewhat sporty feel. Initially priced to start between $28,255 – 45,000, a used first generation Chevy Traverse can be found priced anywhere between $8,500 – $18,500. Considering that it offers some of today’s features and technologies, like the rear back up camera and DVD entertainment, a used version is great way to take advantage of this crossover’s capability at a fraction of the original cost. 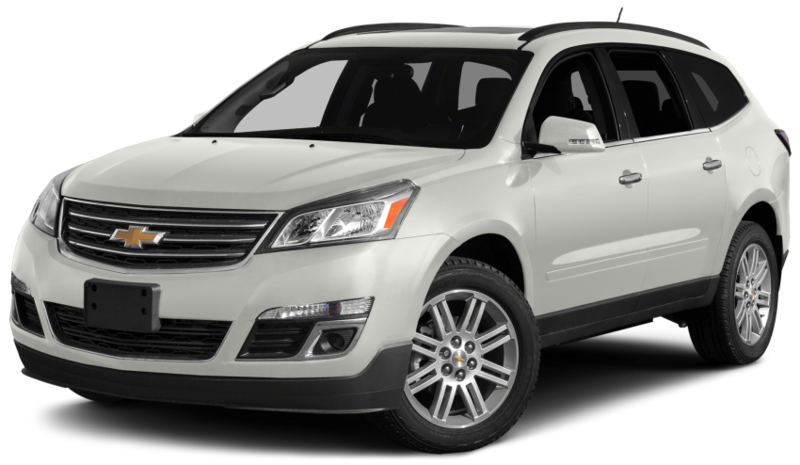 For the 2013 model year, Chevy enhanced all levels of the Traverse with a restyled front fascia, upgraded infotainment, and improved safety, which included an industry-first front center airbag. Although the engine, transmission, AWD, and corresponding horsepower, torque, towing capacity, and fuel economy carried over, the 2013 Traverse boasts safety features like blind-spot side mirrors and a reverse camera as standard fare. Additional safety measures are offered in the 1LT, 2LT, and LTZ in the form of rear park assistance and new front center airbags, with the top-tier LTZ also featuring Side Blind Zone Alert and Rear Cross Path Detection. 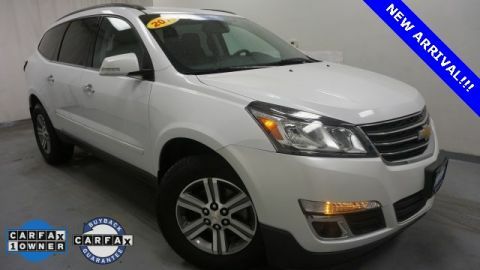 Originally priced between $30,510 – $42,575, the 2013 Traverse, ranked at 8.2/10 by U.S. News & World Report, can easily be located at a reduced price ranging from $20,000 – $30,000. With the 2017 Traverse already set for release next year, let’s take a look at what the 2016 version of the Traverse has to offer. Used versions will be easier to come by as we gear up for the official introduction of the 2017 Traverse. 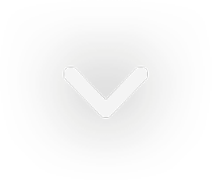 Today’s Traverse carries over pretty much unchanged with the exception of the newly upgraded OnStar system, featuring faster connection speeds, courtesy of 4G LTE with WiFi hot spot capability. Also new is the introduction of another entry-level trim, dubbed the Base LS. Fuel economy is rated at 15 city, 22 highway mpg, with the starting MSRP set at $28,700. At DePaula Chevy, we offer our consumers an extensive inventory of used and Chevrolet Certified Pre-Owned vehicles. What’s the difference? When it comes to a Chevy Certified Pre-Owned car or truck, you’ll benefit from extra coverage and protection via GM’s Certified Program. In order for a used Chevy to be deemed Chevy Certified Pre-Owned, the vehicle cannot be older than five years and must have fewer than 75,000 miles on it. Also, each vehicle undergoes Chevy’s rigorous 172-point inspection, and comes with its own complete history report, a 3-day or 150-mile Customer Satisfaction Guarantee, a 12-month or 12,000-mile Bumper-to-Bumper Limited Warranty, a 5-year or 100,000-mile Powertrain Limited Warranty, Trip Interruption Protection, 24-Hour Roadside Assistance, $0 Deductible, transferable warranty, and like-new vehicle financing for qualified buyers. Whether you go the traditional used vehicle route or opt for the extra assurance provided by a Chevy Certified Pre-Owned vehicle, you won’t go wrong provided you make your purchase from DePaula Chevy. Our knowledgeable sales staff are quick to help you navigate the car buying process and are eager to help you secure the right financing for your budget. Once you’ve secured a Chevy from DePaula, the in-house service department will be standing by to keep your car in great condition so that you never have to put your busy life on hold when it comes to reliable, safe transportation.